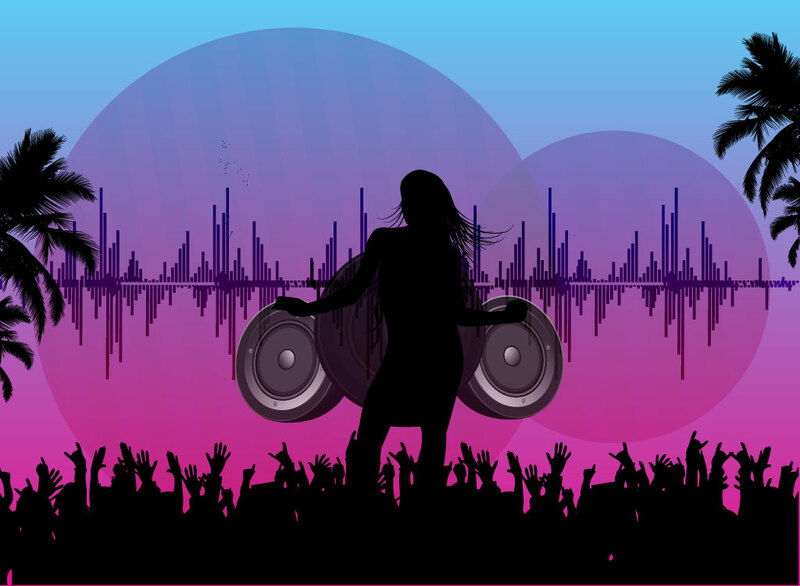 Event vector illustration of silhouette scene with palm trees, enthusiastic crowd and young girl dancing in front of large speakers. Paste the party artwork in front of a sunset or maybe a club style background with a light ball for a great flyer or postcard. Free download for your weekend party and nightclub promotions. Tags: Dancing, Disco, Entertainment, Event, Flyer, Nightclub, Palm Trees, Party.